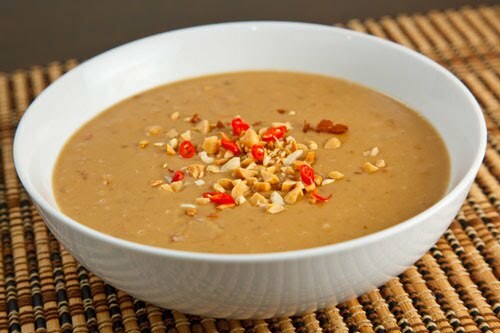 This is a very basic Indonesian-style peanut sauce that I learned to make while living in The Netherlands. It is the perfect accompaniment to barbecued chicken (Satay Ajam) or over vegetables (Gado Gado). In saucepan, melt peanut butter; add garlic and brown sugar. Heat until texture is creamy. Add lemon juice and ketjap manis; stir in sambal oelek to taste. Sauce will become thick. Add water until sauce is of the desired consistency.